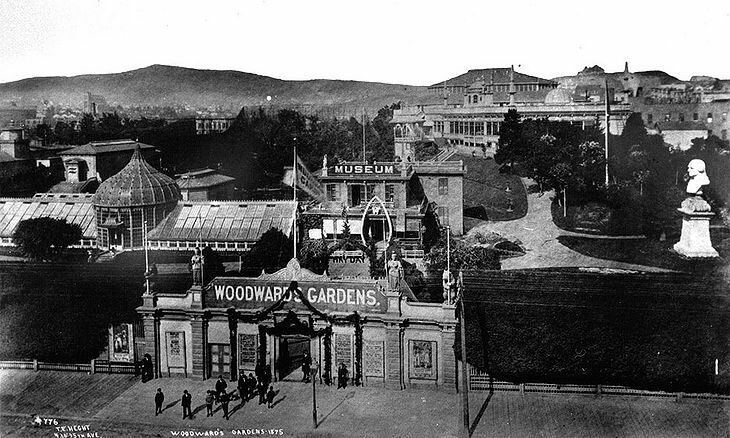 Entrance to Woodward's Gardens, 1875. And never could be made to understand. For gathering solar rays would not have helped. But let him show them how the weapon worked. That blinking could not seem to blink away. And exchanged troubled glances over life. Within a million years of an idea. He got his purple little knuckles stung. Had the boy not presumed too close and long. And the glass was the monkey's, not the boy's. On their part, though without the needed insight. They bit the glass and listened for the flavor. They broke the handle and the binding off it. What monkeys did or didn't understand? They might not understand a burning-glass. They might not understand the sun itself. It's knowing what to do with things that counts.